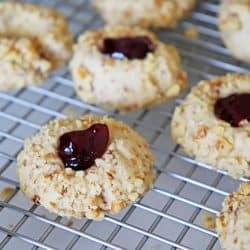 There are so many versions of this cookie, it was difficult for me to veganize just one. 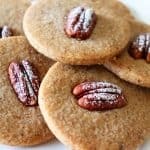 But these Vegan Pecan Sandies came out lovely and I really think you’ll enjoy adding them to your next holiday cookie swap! The first step in our Sandie is to toast the pecans in a dry, non-stick skillet. Keep them moving and don’t walk away. Now is not the time to get on your cell phone or they will burn. 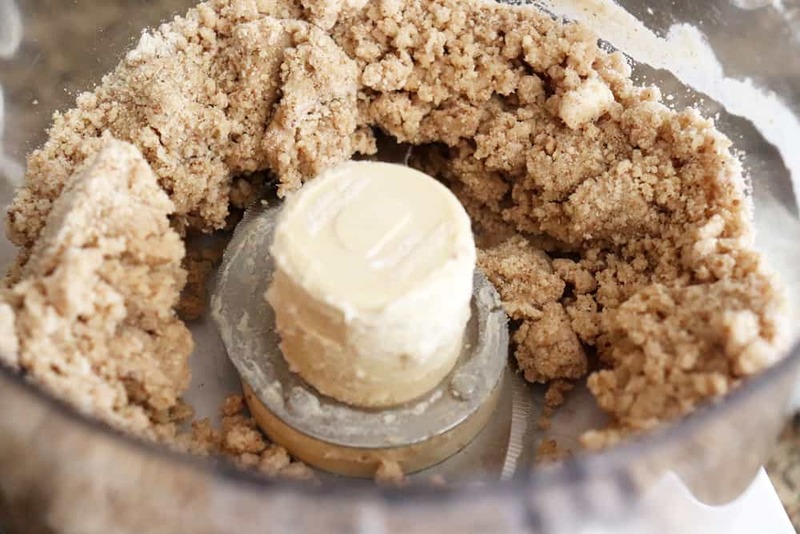 Allow the pecans to cool completely and then place into a food processor. 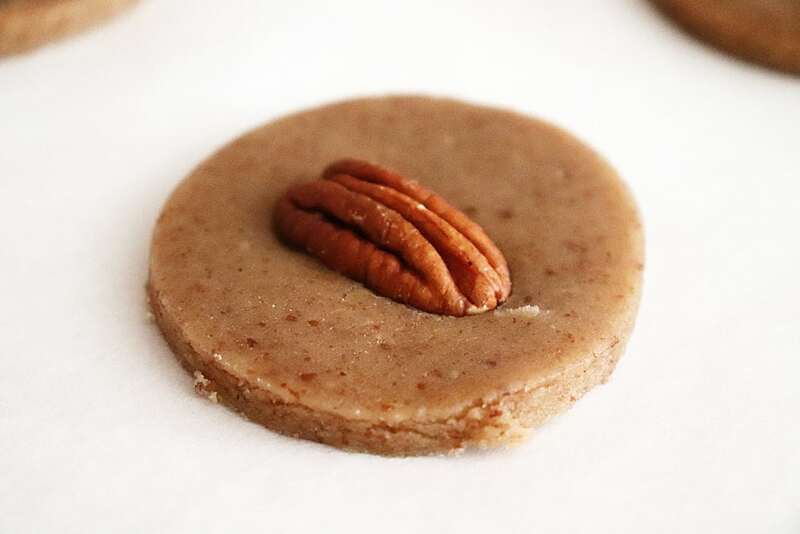 Pulse the processor until the pecans look like this. Add the flour, sugars and salt. Pulse until combined. 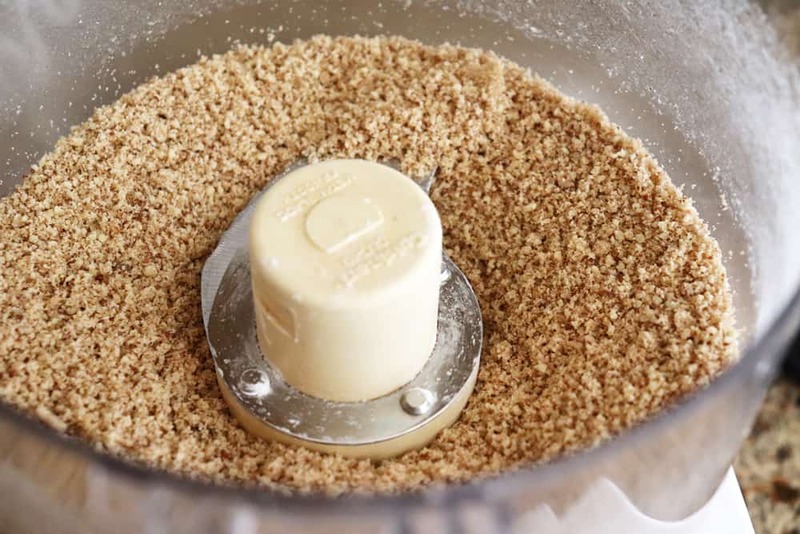 Pulse until you get what is best described as a “crumbly, wet sand” mixture. The dough isn’t quite ready to work with just yet. 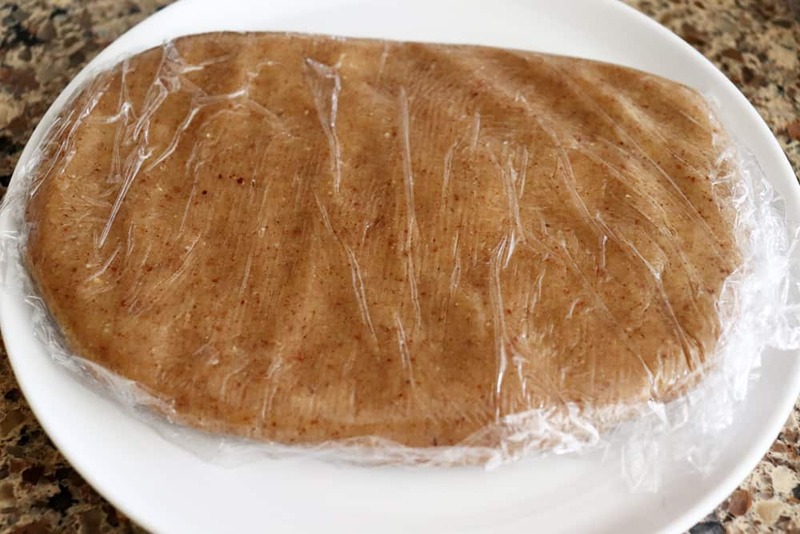 Form it into a flat disk in plastic wrap and refrigerate for at least 30 minutes. 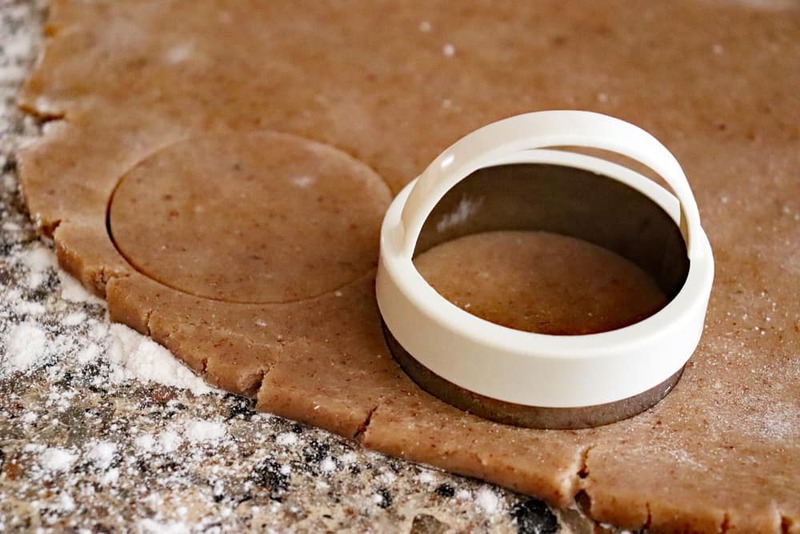 Roll the dough on a floured surface and using a round cutter, make all of your cutouts. Re-roll the dough if necessary. 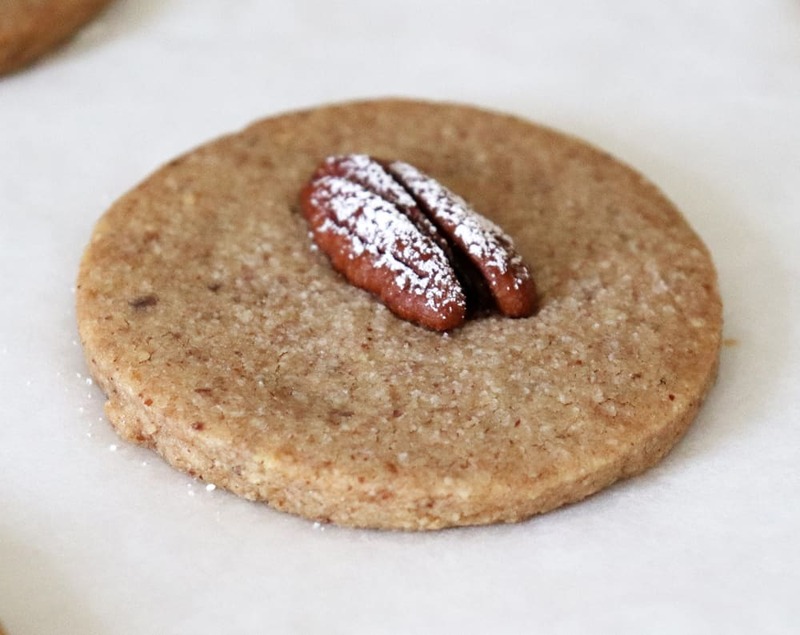 In the center of each round, place one toasted pecan halve. Lastly, dust with powdered sugar just prior to baking. Time to bake the cookies! The photos don’t accurately depict the powdered sugar on the final product, but I’d actually dust them again prior to serving and once fully cooled. As a cook’s note here, in hindsight, I might have actually cut these a bit thicker the next time around. Also, the longer you bake these, the crisper they tend to be once cooled. 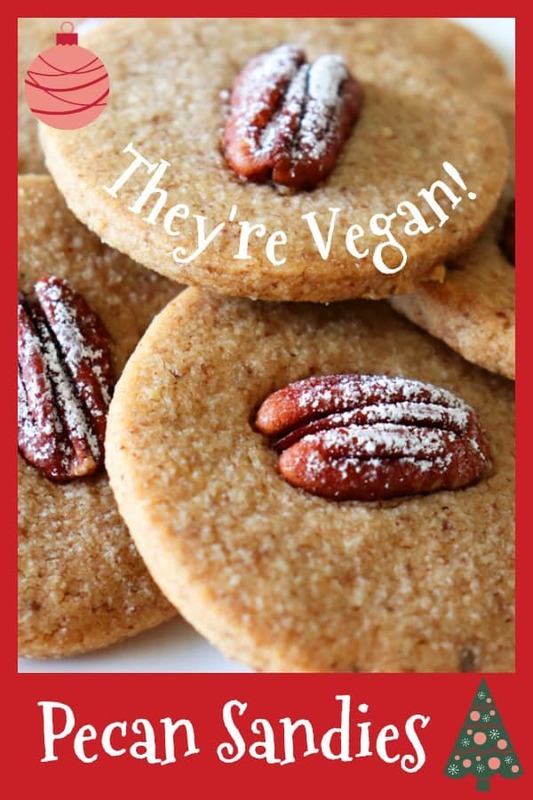 Did you make my recipe for Vegan Pecan Sandies? If so, leave me a comment below and let me know what you thought. 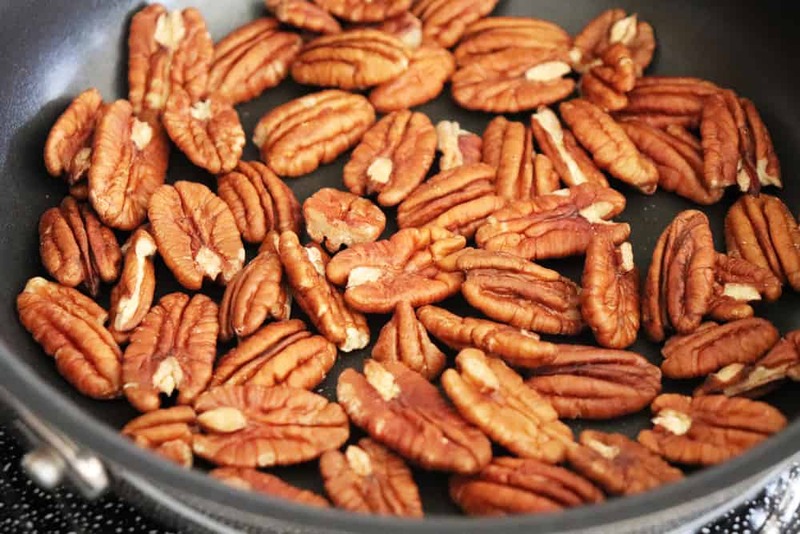 Toast the pecans in a dry skillet for just a few minutes, keeping them moving and DON'T WALK AWAY or they will burn. 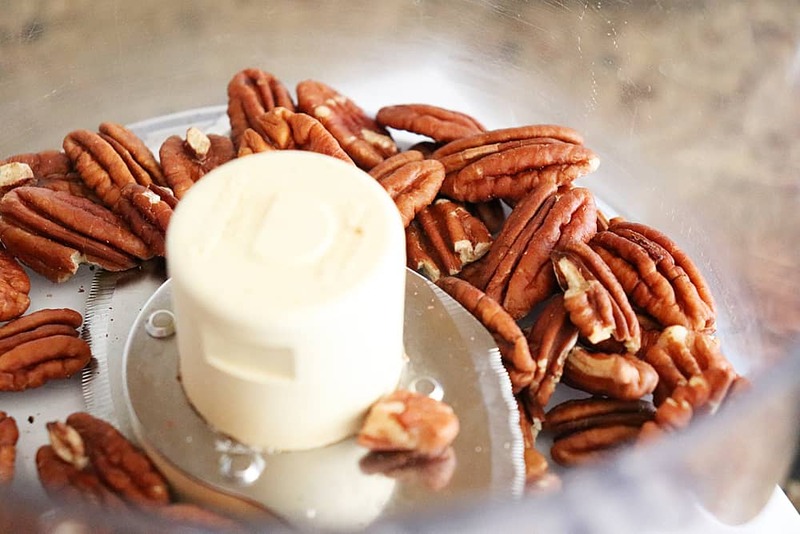 Allow the toasted pecans to cool completely and then add them to a food processor. Pulse until they become finely ground. 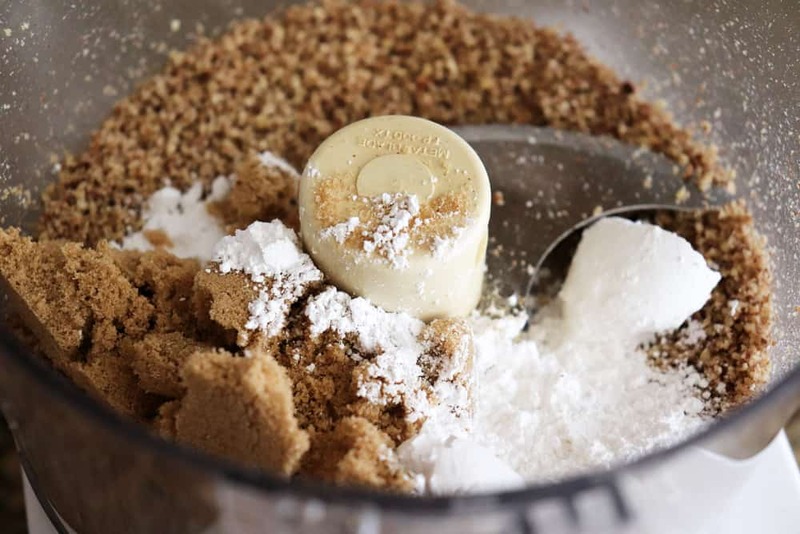 Add the sugar, flour and salt and pulse again until combined. 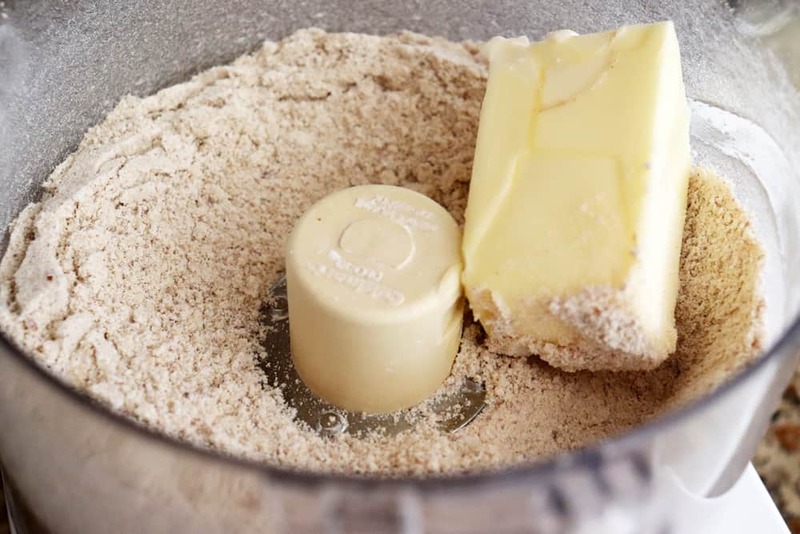 Add the butter, flax "egg" and vanilla. Pulse until the dough looks like a crumbly, wet sand texture. Wrap in plastic and chill for at least 30 minutes. 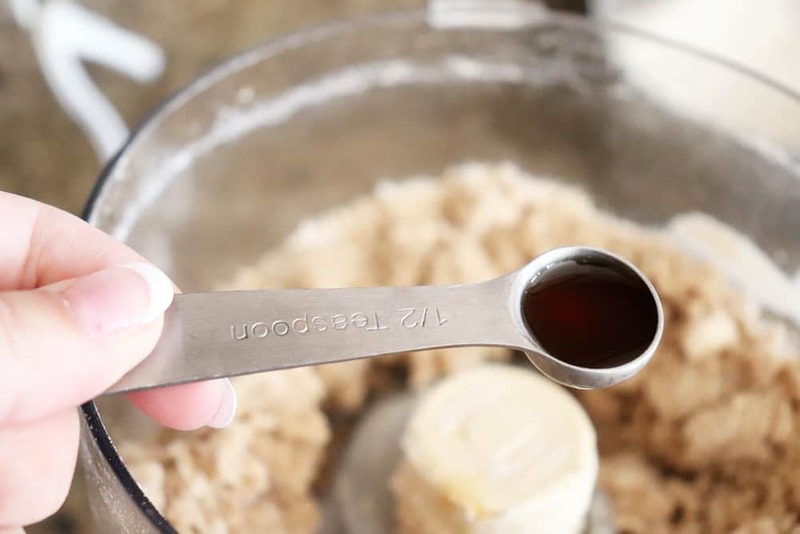 Lightly flour your work surface and roll the dough to about 1/4" thickness. 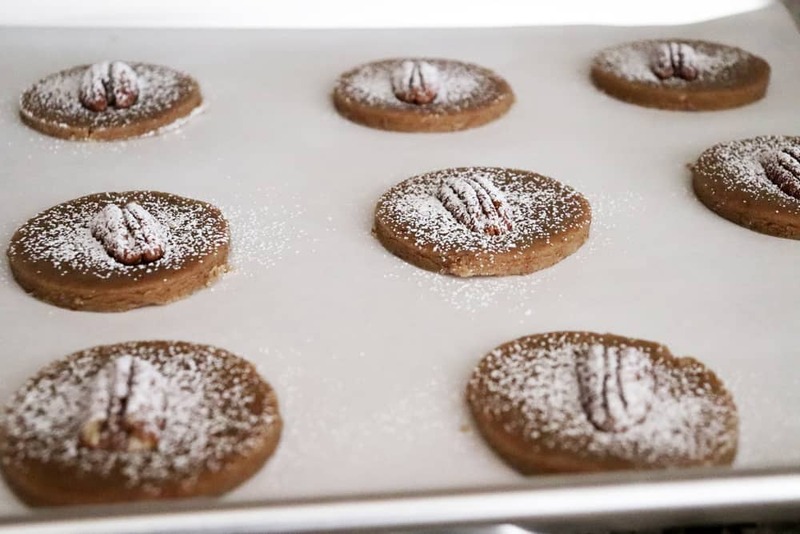 Cut the dough with a 2" round cookie cutter and place them on a lined baking sheet about an inch apart. 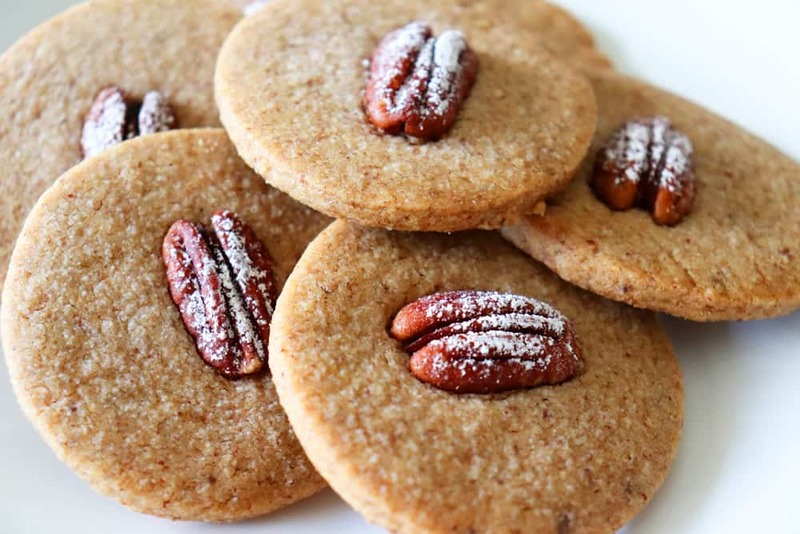 Place a pecan halve on the top of each cookie, pressing lightly. Finally, dust with powdered sugar before baking. 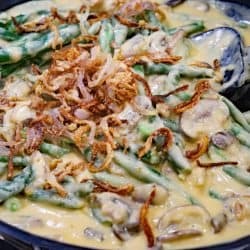 Bake for about 20 minutes, but give them a quick check at about 16-18 minutes. Every oven bakes differently. 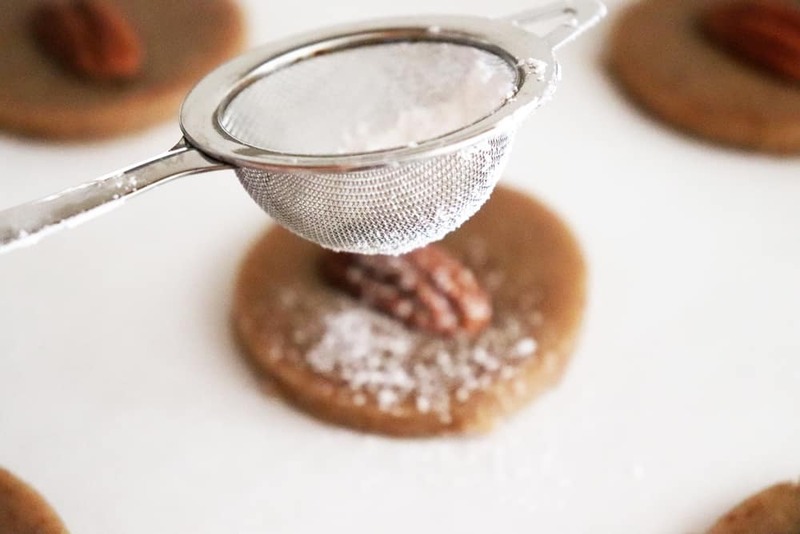 Allow the cookies to cool completely on a wire rack and store in an airtight container.